Our product range includes a wide range of plant layout boards. We are presenting fine quality mimics, Plant Layout Boards, manufacturing plant layout and flowcharts. These mimics, plant layouts, and flowcharts are developed with the help of exquisite technology and are very useful for processes such as mapping of the product flow or process flow or for developing product flow diagrams or process flow charts. 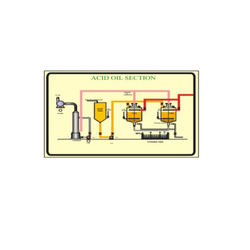 These products are used in various industries such as Pharma Industry, Chemical plant, and continuous process factories. We charge competitive prices.